Creative keyboard performer Thollem McDonas returns to Barking Legs Theater on Thursday, Dec. 6, for a performance that will include two sets of music and an artist talkback. The first set features "Electric Confluence," which is inspired by naturally occurring sounds as well as the numerous cultures that exist on this continent. Integrating eclectic sonic experiences from his travels, Thollem's work explores the limitless palette of sounds and possibilities. His electric set will be accompanied by ACVilla's video documentation of art in public spaces around the country. The evening will also feature a set of solo piano improvisations. Thollem is a traveling pianist, composer, improviser, singer-songwriter, activist, author and teacher who delves into the subgenres of post-classical, free jazz, noise, punk, dance and film. His work is always changing, evolving and responding to the times and his experiences, both as a soloist and in collaboration with hundreds of artists across disciplines. Thollem is known internationally as an acoustic piano player in the free jazz and post-classical worlds, as lead vocalist for the Italian band Tsigoti and as an electronic keyboardist on numerous projects including "Technicolor Grey Zone" with a series of international filmmakers. 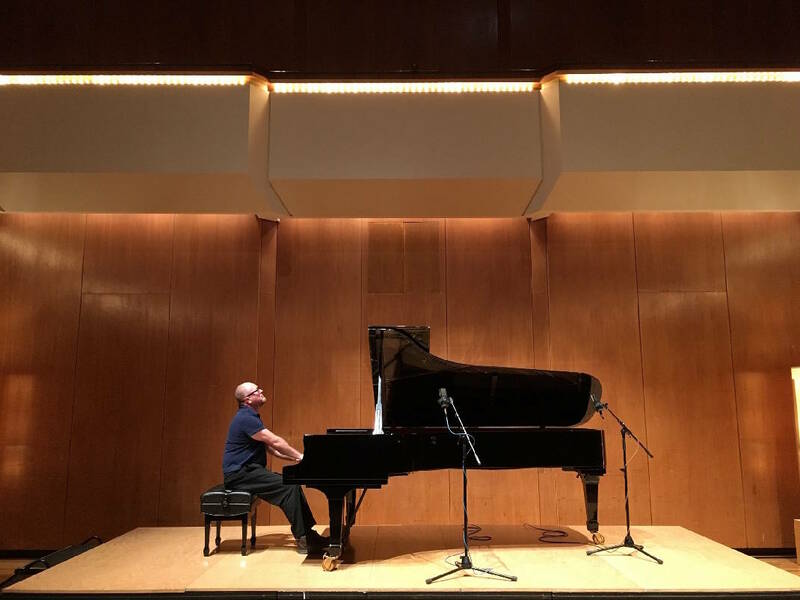 Born and raised in the San Francisco Bay area, he began composing and improvising as a child, absorbing the sounds of his culturally diverse upbringing. After dedicating his 20s to grass-roots political activism, he focused his attention on music that incorporates his experiences. During the last 10 years, he has played more than 1,000 concerts throughout North America and Europe as a soloist and in collaboration with other musicians, dancers and filmmakers. As leader or co-leader, he has released over 60 albums on 21 labels to international critical acclaim.